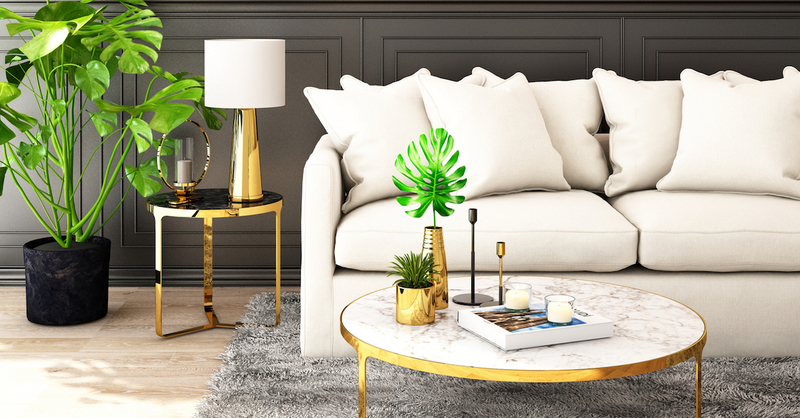 2019 design trends : the colours. 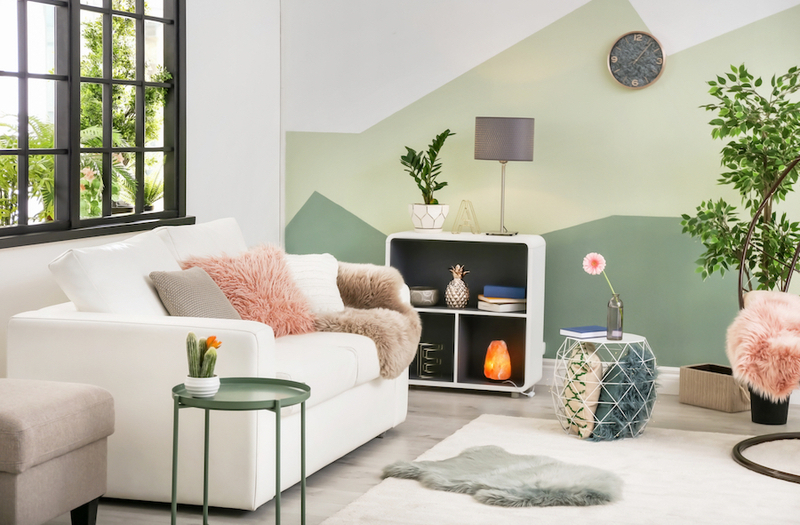 Where colour is concerned, four inspiring trends stand out for 2019. With so much variety, everyone’s taste is sure to be served. The latest trends feature rich colours that will give your walls a second lease on life while customizing your home. Right now, everyone is looking for authenticity and focusing on what’s essential. It’s little wonder then that the latest styles are monochromatic. Wall colour is no exception to the rule! Neutrals and earth tones are in line with the minimalist theme and will invite serenity into the daily lives of a room’s occupants. Discover a range of warm and comforting tones that age very well over time and are anything but boring! This deep maroon shade shows off the new shade of purple that’s been so popular since last year. 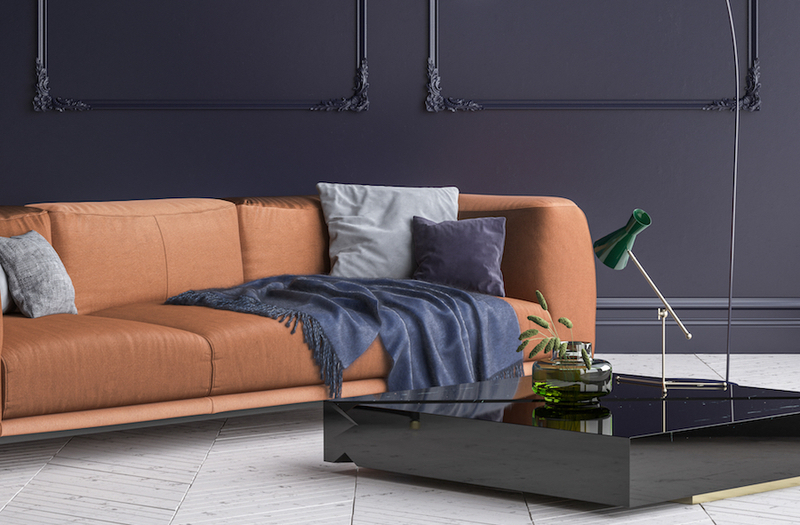 This hue is in 2019’s crosshairs and will match well with most any colour. Not only does it represent authenticity and well-being, but it also promotes relaxation. Discover all the subtlest pastel shades of maroon in the most sophisticated and trendiest décors. This sandy white creates walls that exude sobriety and elegance and can adapt to both minimalist and the most extravagant settings. Sandy white highlights metals such as chrome, brass and copper. Since it’s a neutral shade, it blends well with most accent colours. How can a colour so reminiscent of the past be synonymous with today’s avant-garde? Pastels are experiencing a renaissance, and its new horizons give a sense of technological immersion that speaks to forward-looking people! Let these shades surprise you and use one of any number of techniques to create a dynamic and bold décor. 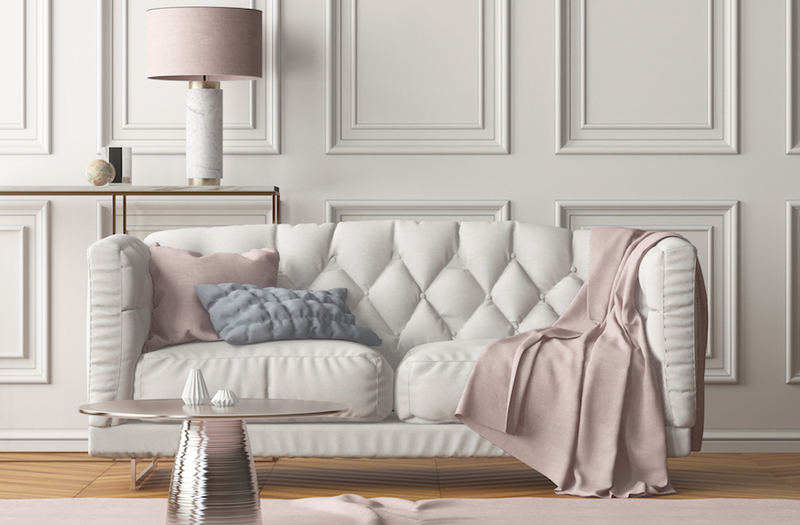 This collection of pastel colour ranges offers up a fresh and surprising look. The mix of contrasts makes for a singular effect that links the modern to the past. These colours will lend a soothing feeling to a room, exude a harmonious ambience and encourage communication. Bolder pastel colours can also be used in moderation. Arrange them here and there to create contrasts and structured colour effects. This wall features a washed-out peach that blends very well with shades of grey. For its part, the curtain ties in with the colour and gives personality to the living room. 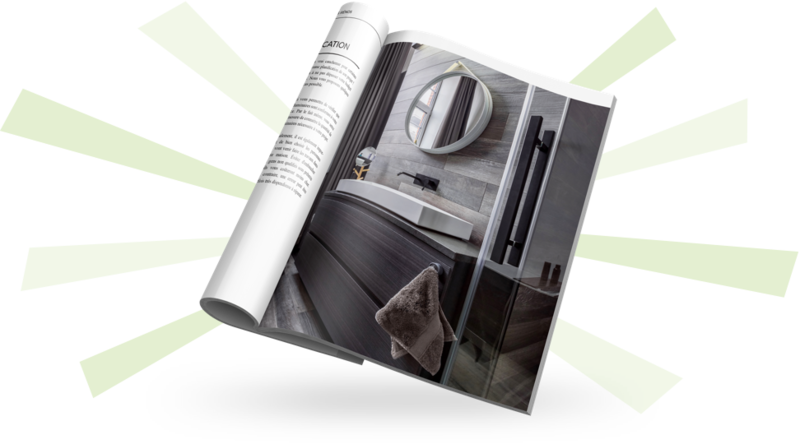 Since green is a major through line for both 2018 and 2019, it’s safe to say that the “green” trend is still alive and well! From year to year, this colour renews itself in a range of different shades, each one as enticing as the next. Green has many virtues. It takes us into a relaxing, natural universe and has undeniable warmth! This timeless colour never runs out of breath! This green is the one most in demand at the moment, and it’s easy to understand why! With its soft, velvety tone, it will energize a room while inspiring its occupant to relax. The key, however, is knowing how to dose it! It also matches most accent colours, including white, pale green, blue, red and even vintage pink. Here’s a good example of tone mix and matching! These two green shades work well together; they’re perfectly complementary and don’t outshine each other. This ombré effect will be very popular in 2019. So, get your paint rollers ready, and let your imagination run free! Purple makes a strong comeback after many years of absence. The new purple has nothing in common with the outdated purple lacquered decorative items of the 2000s. A most vibrant, mysterious and chic nuance is trending. Deep purple stimulates the senses, embodies balance and soothes the mind. And if that wasn't enough, purple is also a royal colour that exudes subtlety, protection and luxury. As you can see, purple has a darker side that’s sure to charm the eye! As a complement to it, earthy colours add a surprising balance to it! If you want to create a theatrical, refreshing and creative atmosphere, a yellow accent colour will readily take up the challenge! Plum is also a colour trending for 2019. It comes in lighter shades and is mainly suitable for bedrooms, living rooms and bathrooms. Plum showcases golden-hued metals such as brass, but it can be just as attractive with silver tones. Set up the perfect space-saving study or office area! Many people need to set up a home office or study area for various reasons. Even though there may be limited space available, there are several small, unexpected nooks that can be turned into wonderfully practical and functional areas! There’s been growing interest in exterior landscaping in recent years. It’s a trend that can be very expensive. 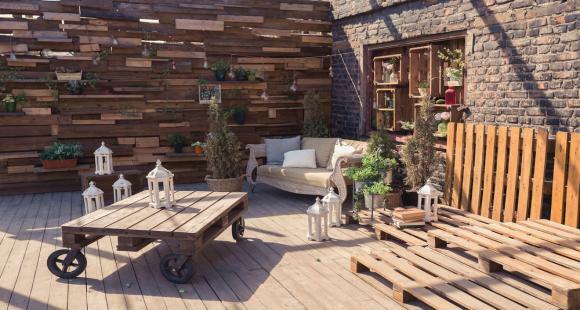 But did you know that you can create an array of outdoor furniture with wooden pallets in a few simple steps? No need to be an expert cabinet maker! Whether your style preference is industrial, vintage or country, this furniture is durable, original and inexpensive. By applying a few basic rules, you can create a wide range of custom-made, design furniture!